I am such a fan of contemporary YA romances. All of my favourite YA authors write contemporary. It's not that I don't enjoy paranormal romances, because I do. It's just that my preference lies with something more based in reality. And this list is of my favourite authors of the lot. Their books make me smile and make me laugh. They make my heart hurt and bring me to tears. Reading contemporary YA makes me feel less alone and pulled into a story that could be mine. It feels real to me. What I love about this list I've created, is that aside from Meg Cabot and Ann Brashares, is that I discovered all the rest of these authors only in 2010. Last year was really the year that I focused my reading on YA and I feel like I still have so much more to discover and new-to-me authors to find and adore. There's so much still ahead of me. Jennifer Echols - I am such a Jennifer Echols fan-girl, seriously. Going Too Far was absolute perfection. If I were to make a list of favourite couples in YA romances, Meg and John After would certainly make the list, if not top the list. She writes chemistry and tension incredibly well. And that's really makes her books as HOT as they are. Great characters with great chemistry. Anything that Jennifer Echols writes, I will read. She's made a fan for life. Elizabeth Scott - Elizabeth Scott is the author that I read the most books of in 2010. I read my first Elizabeth Scott book last April, I believe, and I just couldn't stop reading. Bloom was my first, and it really got me hooked on her writing. Such a sweet and almost simple story of finding love. I love how each of her books is very different and they're certainly not all contemporary love stories either. My favourite of hers? Perfect You, which I shall be reviewing this month. E. Lockhart - E. Lockhart is incredible. She is on my list of favourite-ever authors despite not having read very many of her books. But her series of books on Roo Oliver? Probably my favourite YA love stories ever. Ruby Oliver is seriously one of my favourite heroines. She's really funny and quirky. I love reading about her struggles to come to terms with who she is and what she wants out of her friendships and relationships. I will be reviewing the third book in the Roo series, Treasure Map of Boys, this month. Look out for it. Sarra Manning - Sarra Manning is a very recent find as well. When Sarra's first adult book, Unsticky was published last year, I bought it total impulse. I read it pretty quickly afterwards and it's since become one of the few books that I hold onto and re-read often. There's something about her main characters that I can very easily relate to. I like that the relationships in her books is often very flawed and messy. After devouring Unsticky, I really did rush out to find her other teen books. I gobbled up Let's Get Lost and Guitar Girl but the book that really won me over and made me a total fan was Nobody's Girl. 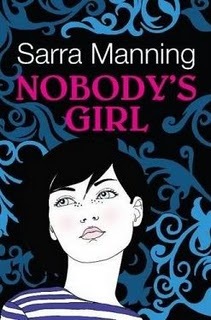 Set partially in Paris, Nobody's Girl is fantastically romantic and addictive reading. Simone Elkeles - Simone Elkeles writes some hot fiction! I read Perfect Chemistry last year and kept needing to fan myself. I wasn't alone in that reaction, lots of people had an extreme reaction to Alex Fuentes and his relationship with Brittany. Me? I preferred Carlos and Kiara! But there's just something about the Fuentes brothers that just keeps me wanting and dying to know how it'll all end up. Look out this month for a review of Rules of Attraction as well as Return to Paradise. Return to Paradise is of course the sequel to Leaving Paradise. The romance between Caleb and Maggie is a lot more chaste than Alex and Brittany/Carlos and Kiara, but it's still there and a very major aspect of the storyline. Melina Marchetta - Am I cheating just a bit by putting Melina Marchetta on my list? I've only read two of her books. 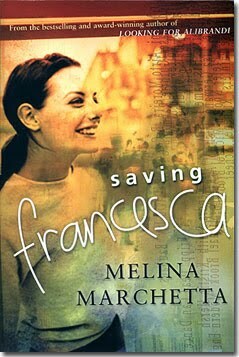 But both Looking For Alibrandi and especially Saving Francesca had love stories that made my heart race. Her books aren't solely love stories though, so much else is going on from dealing with family members, finding a place to fit in and coming to terms with self-identity. Melina Marchetta is already on my list of favourite ever authors with just these two books that blew me away. Susane Colasanti - I hadn't really heard of Susane Colasanti before last year. But I was ordering books from Amazon and I came across the cover of When It Happens and I just thought it was really cute. I was in the mood, as I usually am, for a contemporary YA love story so on an impulse, I added it to my basket. I really loved it, I thought it was a very sweet and gentle story. I've since read it a few more, and all of her books just put a smile on my face. 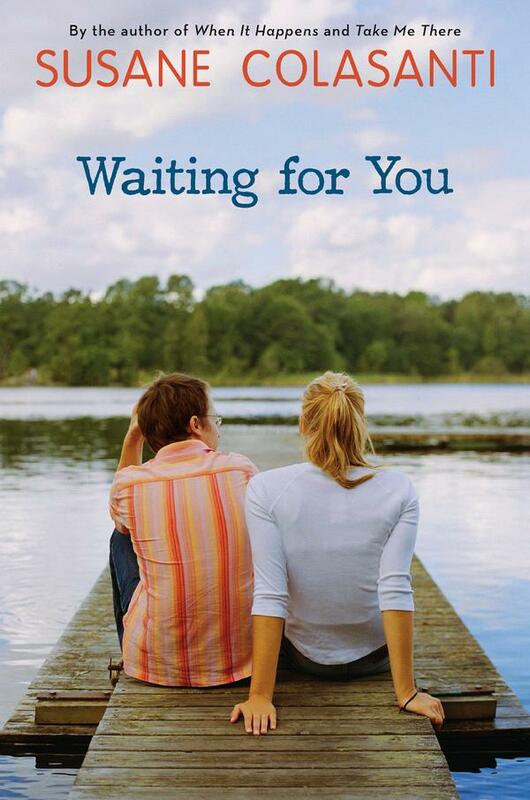 While I did love the 'Say Anything...' references in When It Happens, I think Waiting For You is my favourite so far. Sarah Dessen - It took me awhile to think of Sarah Dessen for this list, but once I did, it seems very obvious, doesn't it? I think it's because she hasn't had a book out in awhile and the last one was only just OK. I do very much love her stories though, and I find myself crushing on the same hot boys as whoever our main character is. While sometimes she is just a little bit sickly-sweet, I still just can't get enough of her. I think I'll always be a Sarah Dessen fan! Bring on the new one. Ann Brashares - I hadn't really thought of adding Ann Brashares to my list until I remembered that she's the author of the fabulous Pants books. I loved that series so much. With the the four friendships and families and love. When the last book came out, I was really sad. Especially as I didn't really get on with the next few books she put out. 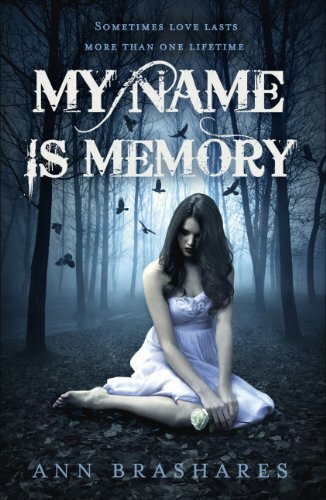 Until My Name Is Memory, which I'll be reviewing at some point during Love month. But just know I really loved it. And that's the end of my list. 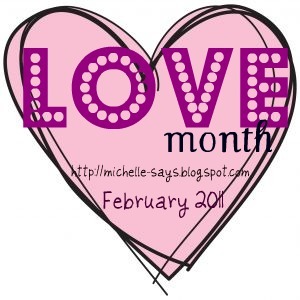 I know that a lot of my readers will have a different opinion on who writes a good love story and there are big paranormal romance readers out there as well, so tell me. Who would make YOUR list of favourite YA romance authors? I've not read half the authors on this list! But, Jennifer Echols would top my list. I'm with you that Going Too Far is damn near perfection! I adore Meg and John and how their relationship grows. So excited for her next book, Love Story! But with her, what's a little odd, is that I love her romantic comedies as well. Not often a fan of humor, but they're fantastic as well. I like Susane Colasanti as well, and Simone Elkeles is fantastic (and yep, Carlos and Kiara are just a little more enjoyable!). I've still got Perfect You on my TBR shelf, but I think I'll have to move it up the list now! A bunch of the rest are on my wishlist, so I think I'll try and make sure to get one or two next time I'm book shopping. I'm still discovering new YA contemp romance authors, it's not my focus genre, so thank you for the recommendations! Sarra Manning will always be on my top authors list. Guitar Girl, Lets get lost and Pretty Things got me through my teenage years! I love her. I am a big Sarah Dessen fan, she writes beautifully. I have only read "Let's Get Lost" by Sarra Manning but really enjoyed it.I did not like "Rules of Attraction", I have to say. Not read any of the other! Oops, really sorry I missed Meg from your list when I read it! How did I manage that? I can see it clearly now. My number one Meg couple is Sam and David! Oh boy. So many books to add to my piles! Raimy - I didn't like That Summer either. It's one of the few Sarah Dessen's I just didn't finish. You should try some of her other books though! They're very different to That Summer. Luisa - Oh I really love Sam and David as well. They're such a great couple. She really is wonderful, Meg Cabot.